Even the aristocracy have to obey the law! In 1700, George Booth - the Earl of Warrington - rebuilt two medieval houses, adding a new Georgian front to create his new Chester townhouse. Controversially, he angled the frontage to ensure his house could be easily seen. As a result of this misdemeanour he was fined £10 for “encroaching into the street”. His efforts paid off - there may be other Georgian buildings in Chester, but this one is arguably the most splendid. In the mid-18th century the mansion provided elegant assembly rooms for the town's social functions. 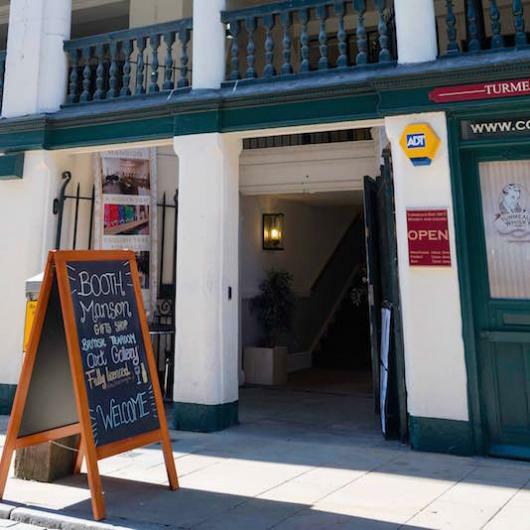 It has since housed a variety of businesses before being lovingly restored to its former glory. Booth Mansion re-opened in 2016, hosting a gallery, tearoom, gift shop and more.